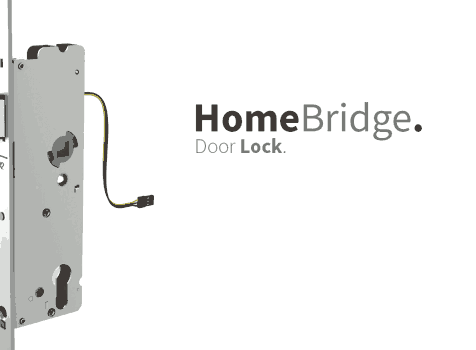 It has been a while sins I made a module for my HomeBridge, now I wanted to see if I could make a door lock. First, you must install HomeBridge on a Raspberry Pi, and configure it as a HomeKit bridge device.How to do that, you can read here. Then I need a door lock, so I found these here below. Applied to the cabinet lock, locker locks, file cabinet locks ,etc. 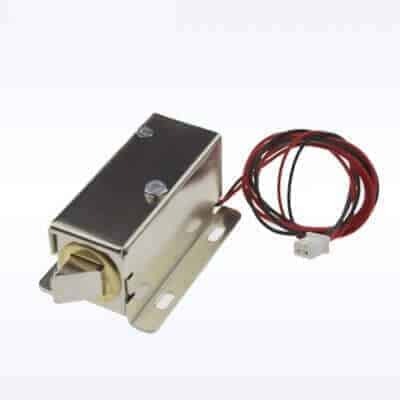 Designed with the open frame type and mount board, high power Easy to install for the electric door lock or other automatic door lock systems with the mounting board. Voltage: 12VDC, Current: 0.35A, Size:54*41mm (L*W). 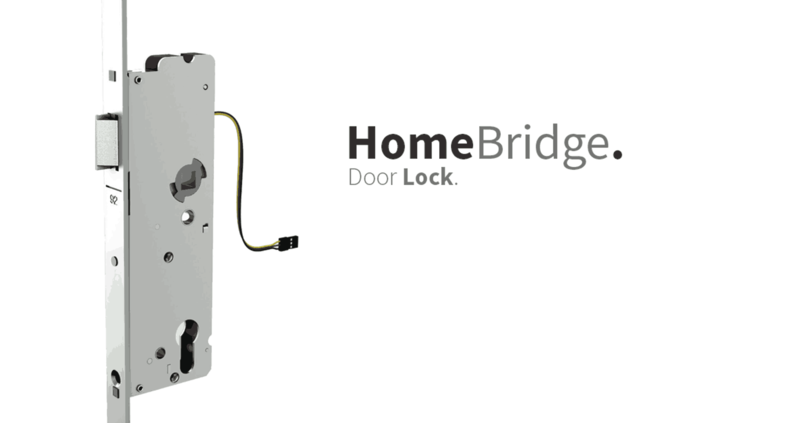 When you have installed the HomeBridge you need to install the Homebridge-lock package in order to let the HomeBridge communicate with your ESP8266 over http. Now we can make our setup so we can see if everything is working. 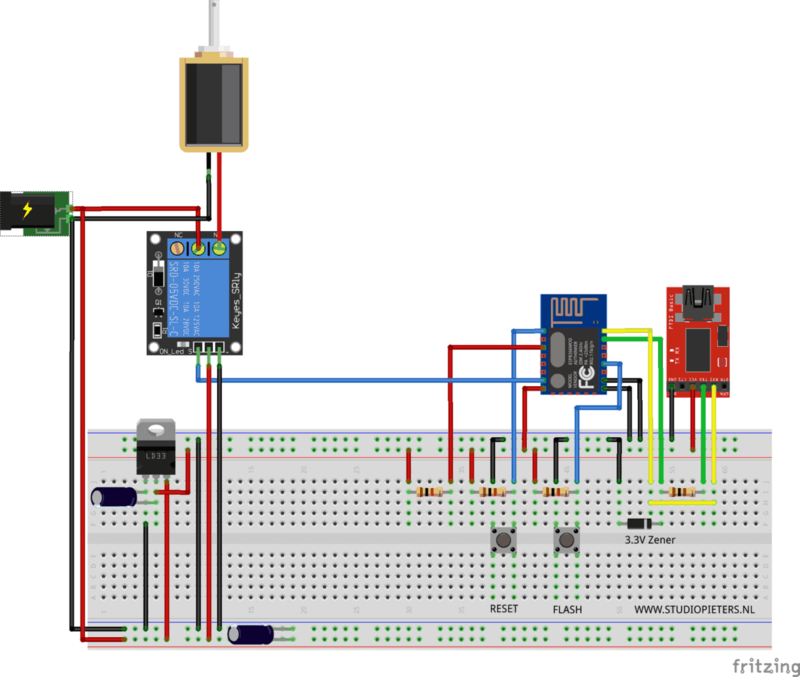 In the Fritzing diagram below you can see that now I have added a door lock plus a external power supply 5V 1A. We are keeping the RX and TX connected so we can see in the monitor from the Arduino IDE if everything is working as we want to. Note: The lock will change back to locked status after 5 seconds. Because the lock can’t keep unlock status long time (Must < 10s).